I love giving and receiving gifts that are spa related. Being pampered is such a fun luxury especially a manipedi or massage - mmmm bring it on. This week DeNami Design is the sponsor at 2 Sketches 4 You and this darling image is the DeNami stamp Mimi's Bubble Bath . How easy would it be to slip a gift certificate in this card for that special person in your life - I'm thinking Mother's Day is right around the corner! The soapy bubbles are Flower Soft's Polar White Diamond Range and the paper is Webster's Pages & American Crafts. That darling label tag is My Mind's Eye. 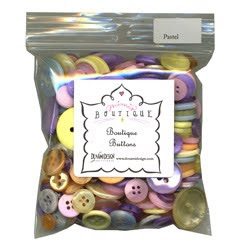 The ribbon is Fancy Pants and the buttons are also from DeNami Design and are called Pastel Boutique Buttons - cute! Remember we are on the lookout to add to our team - details are on 2S4Y. I have a busy weekend planned and it is all fun stuff - yay! Thanks for visiting & have a great weekend too. LOL just ready Kathy's post - think you have it sewed up! How cute and fun is this?! Those bubbles are fab!!! This is too wonderful. Card is just fun. I love the bubbles! Aren't these stamps to die for? Fabulous card, Kazan! I love the colors and the details!! Gorgeous!! That is so cool how you did the bubbles. SO fun and fabulous! Love it! WOW! LOVE this card, Kazan! !